National Poetry Day, the world’s greatest celebration of poetry, will see a mass outbreak of verse today. The BBC is celebrating National Poetry Day across all its channels, as are Visit England, Art UK, Virgin Trains, Royal Mail, Twitter, the V&A and thousands of schools, libraries, pubs, bus routes, museums and railway stations: the celebrations will be impossible to ignore. Poetry is booming! This year marked the best sales on record for poetry books in both volume and value: since January, sales are up by 10 per cent on the same period last year, driven by a new appetite for the work of living poets with strong online followings, including Rupi Kaur and Hollie McNish. Poetry, according to Nielsen BookScan, is now challenging prose on the bestseller lists, boosted by the popularity of both live and recorded performances and strong followings on Instagram and Twitter. In May, Manchester’s resilience under attack found voice in a much-shared spoken-word poem by “Longfella”, in June, thousands cheered Kate Tempest at Glastonbury: poetry, whether provocation or consolation, has never felt so present. National Poetry Day also sees the launch of a major new four-day poetry festival (Contains Strong Language) in Hull 2017 UK City of Culture, a partnership with the BBC, Hull UK City of Culture, Humber Mouth, Arts Council England, British Council, National Poetry Day and other poetry organisations. The festival stars a line-up of 17 innovative poets, the Hull 17, and will feature more than 50 events across 8 venues, including performances by the BBC Philharmonic Orchestra, John Cooper Clarke, Kate Tempest and a mammoth washing line of poetry created from 2017 new poems about city landmarks written by Hull residents. There will be hundreds of events across the UK and Ireland including many responding to the invitation to ‘share a poem’ on social media. For a second year running National Poetry Day has partnered with BBC Local Radio. Taking their cue from National Poetry Day’s 2017 theme – Freedom – BBC Local Radio stations across England called on listeners to ‘Free the Word’ by nominating a distinctive local word that deserves to be better known nationally. The final selection was made with the help of lexicographers from the Oxford English Dictionary, on the look out for new definitions and usages to fill the gaps in the dictionary’s overview of the English language. 12 local words are now the inspiration for 12 new local poems, to be broadcast across the BBC network today: among the words selected are cheeselog, meaning a woodlouse (Hollie McNish, BBC Radio Berkshire) and bobowler, a West Midlands’ word for a large moth (Liz Berry, BBC WM) and mardy (moody) from Leicester listeners (Toby Campion, BBC Radio Leicester). BBC Radio Cumbria chose to twine (to complain) for their poet Kate Hale. BBC Radio Leeds’ poet Vidyan Ravinthiran, will take a poetic walk down a ginnel (alleyway), BBC Radio Devon’s listeners chose an evocative word to describe twilight – dimpsy - for local poet Chrissy Williams. 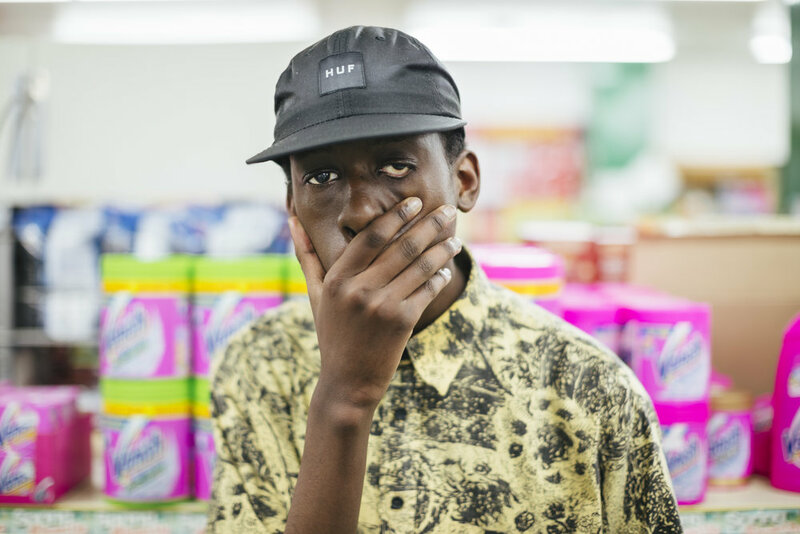 Finally, the capital’s first Young People’s Laureate Caleb Femi has turned fam, the street slang address for a friend, into a poem for BBC Radio London. Poet Isaiah Hull has woven all 12 words into a bravura poem-of-poems, commissioned and broadcast as part of the Contains Strong Language festival. BBC Radio Wales and BBC Radio Scotland are also joining in the fun. BBC Radio Scotland’s Poet in Residence Stuart Paterson has penned a poem Here’s the Weather which contains a flurry of the 700 words nominated by listeners, as well as the word topping the poll – dreich - meaning dreary weather; while the word cwtch, a hug in Welsh, was chosen by Sophie McKeand, Young People’s Laureate for Wales, for her poem. National Poetry Day has also announced its first ever dedicated book trade promotion highlighting 40 inspiring poetry books in four wide-ranging categories: anthologies, children’s poetry, current collections and poetry for book groups. The campaign’s aim – to enable all to enjoy, discover and share poetry and titles include William Sieghart’s The Poetry Pharmacy: Tried-and-True Prescriptions for the Mind, Heart and Soul (Penguin Press), Plum (Picador) by Ted Hughes Award-winning Hollie McNish and Milk and Honey by bestselling insta-poet Rupi Kaur. Visit England is focussing its ‘Literary Heroes’ campaign on poets and poetry this month, commissioning poets Andrew McMillan and Remi Graves to rework much-loved classics for the 21st century. Andrew has transplanted Wordsworth’s daffodils to urban Manchester and Remi will use Blake’s London to explore Kings Cross. Films of their new poems are released today for National Poetry Day. Art UK, the online home for every work of public art in the UK, announces the winner of its Art Speaks competition, open to young poets aged 13 to 24, for a filmed poem about any picture in public ownership: Matthew Arnold Bracy Smith’s The Disrobing (Despoiling) of Christ (after El Greco) at Scarborough Art Gallery was the inspiration for 22 year-old civil servant Amani Saeed’s winning poem “Jesus Christ Goes Clubbing”; while poet and DJ James Massiah has created a 1 minute poem for giffgaff, the youth-focused mobile phone network which is cheap, flexible and speaks to "freedom”, fitting perfectly with this year’s theme. At the V&A in London the visitor experience team will be reciting poetry alongside relevant art works throughout the day. On board staff of Virgin Trains will be including poetry in their announcements on the day and Poet in the City presents Sound of the Underground: 9 poets across 5 London Underground stations reading poetry exploring this year’s theme of freedom and travel; while Royal Mail is postmarking millions of items of mail nationwide with National Poetry Day 28 September: an honour reserved only for special occasions and significant events. Glasgow will mark the day with pop-up poetry events across the city; in Yorkshire, the number 59 bus route from Wakefield to Barnsley will be taken over by poets and musicians, while Bradford, Unesco City of Film, will feature poems on its Big Screen. St Pancras Station, the Old Vic Theatre, Soho’s L’Escargot restaurant and Cassandra Goad’s jewellery shop on Sloane Street are just four of many London venues putting poetry before the public in surprising and delightful ways. Expect impromptu pop-up poetry festivals in thousands of unexpected places, from shops, streets and offices to doctors’ waiting rooms and postal sorting offices. Ricky Gervais, J K Rowling, Paul McCartney, Stephen Hawking, George RR Martin and Ellen DeGeneres are among the hundreds of thousands of poetry-lovers who have shared poems they love on past National Poetry Day via Twitter. Last year the hashtag #nationalpoetryday had a 520 million reach, trending #1 across the globe on the day. National Poetry Day is co-ordinated by the Forward Arts Foundation, an Arts Council National Portfolio Organisation that celebrates poetry and promotes it as part of everyday life. With Macmillan Children’s Books, it has nominated 18 poets as National Poetry Day Ambassadors, with special responsibility for igniting enthusiasm nationwide by visiting schools, organizing events and competitions and writing new work on the theme of Freedom. 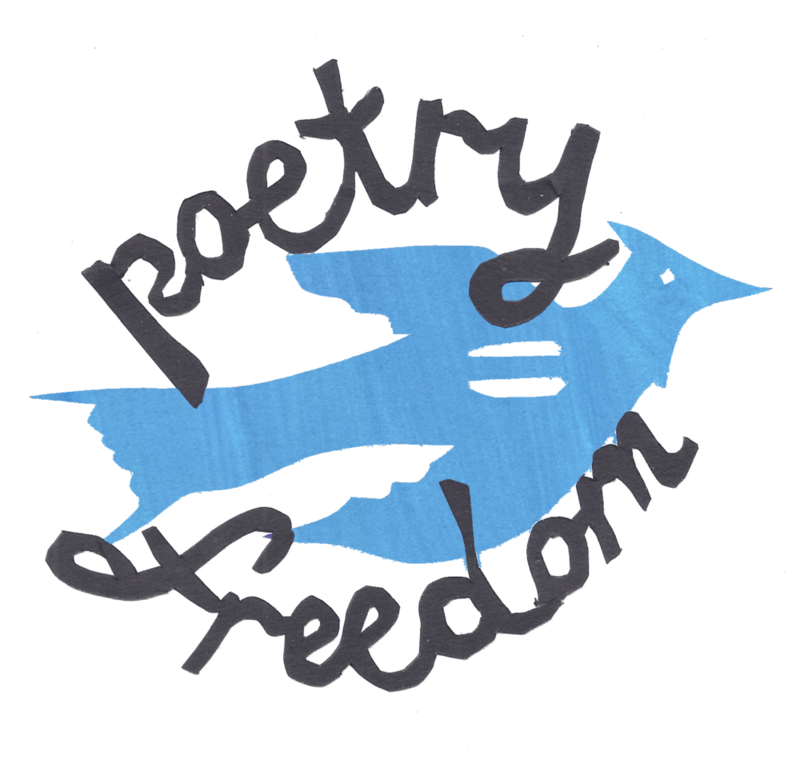 Their new poems have been collected as a free downloadable eBook Freedom: A National Poetry Day Book available from the National Poetry Day website, alongside posters, lesson plans and ‘freedom’ images from artist/poet Sophie Herxheimer. National Poetry Day is a mass participation campaign that inspires all to enjoy, discover and share poems. The celebrations fall this year on Thursday 28 September and everyone is invited to join in, whether by organizing or attending an event or simply posting a line of poetry on social media with #NationalPoetryDay. The theme, this year, is freedom.